Spend five minutes with Andy and you’ll feel like you’ve reconnected with an old friend. Andy’s easy-going, relaxed nature is evidence that he’s got everything under control. And, that’s a pretty decent quality to have when you’re an electrical construction foreman. 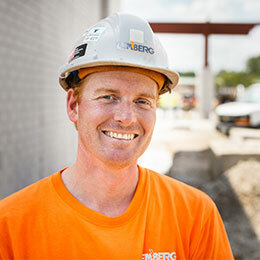 Among Lemberg’s best construction project leaders, Andy takes jobs from start to finish, interpreting plans and bringing the architect’s vision to life in the field. For the last 15 of his 20-year electrical career, his job was to manage day-to-day site operations. He handled building information modeling (BIM) coordination, safety, onsite coordination with other trades, manpower, and scheduling material. He has the technical expertise to know when something isn’t going to work and the ability to communicate and coordinate the details to his team, the other trades on the job, and the general contractors. Today, Andy is aiming all that field experience toward an intermediary position between the planning stage of a project and the actual construction stage, where he’ll be focusing more time on detailing projects through building information modeling (BIM). Moving to an enclosed office environment is quite different from the field Andy is used to, but he’s excited to bridge the gap between the planning stage and the construction stage and work to make projects leaner and more efficient. Andy’s path to the electrical industry started while he was in college on track to becoming a teacher -- a history major who loves to tinker with mechanics and dabble in woodworking, golf and guitar. He spent summers working as a seasonal laborer, who gave him a baseline exposure to the construction industry. After graduating from college with a bachelor’s degree, Andy was introduced to the electrical apprenticeship program – and he’s never looked back. Lemberg has been Andy’s home-base since applying for his apprenticeship. He’s progressed to journeyman to master electrician and then to project lead/foreman. And, with the development of his new intermediary role, he sees no reason to think he’ll be anywhere else in the future. 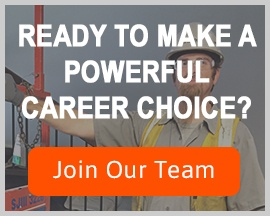 As someone who’s spent his entire career in the electrical field, Andy has some advice for others considering the same – advice that came to him through his trainer at the Milwaukee Electrical Joint Apprenticeship Training Center. Andy admits the electrical field can be tough, but it’s an excellent career choice to consider especially if you are a good communicator. He considers communication skills to be the most important skill to have followed closely by problem solving, organizational, and computer skills. That’s certainly true for Andy. As an emerging leader at Lemberg, he joins others who’ve made similar moves to challenge themselves to be better every day. The learning never stops, and that suits Andy just fine.